I took this while taking my slightly smaller bike round Rutland Water yesterday. 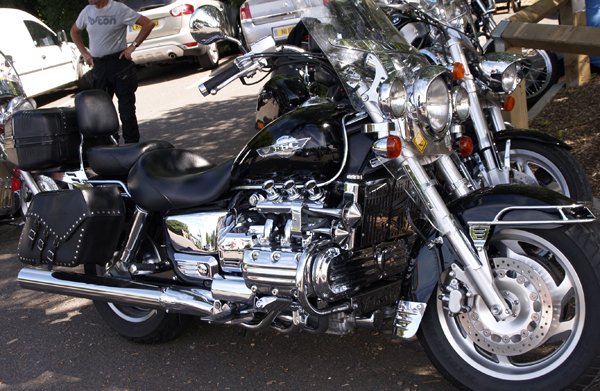 If anyone can identify the model of the bike please feel free to comment. In the original image all the colour was in the bright green trees of the background. 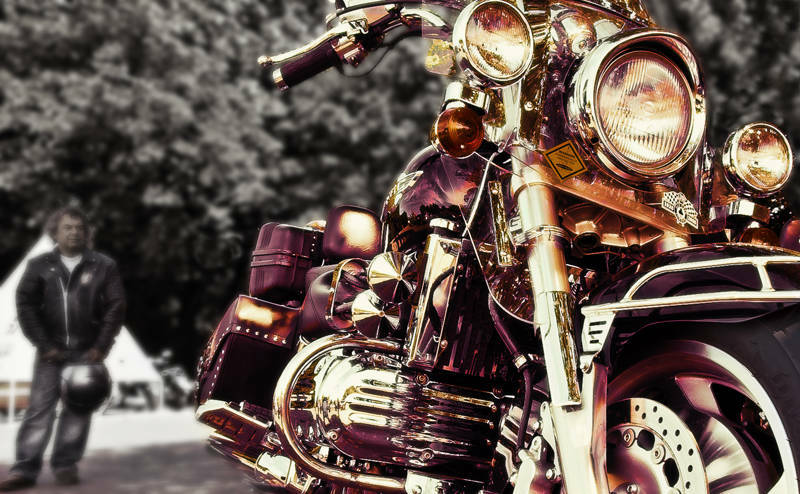 To put the emphasis back on this impressive machine I used Split Toning on the bike and desaturation and Gaussian Blur on the background. It does give the bike a rather “steampunk” look. Steampunk, Interesting. We will have to call it the “Steampunk Effect” then. Thanks Francese, I remember it being the biggest bike there. A Harley sounds plausible. Maybe this other angle will help. Very impressive composition and processing !